The Dubai-based developer Nakheel said on Sunday it is inviting contractors to submit bids to build the new Dh5 billion Deira Islands Boulevard. About 20 per cent of the land allocated for Deira Islands Boulevard will be communal outdoor space containing gardens, shaded walkways and sports and wellness facilities. 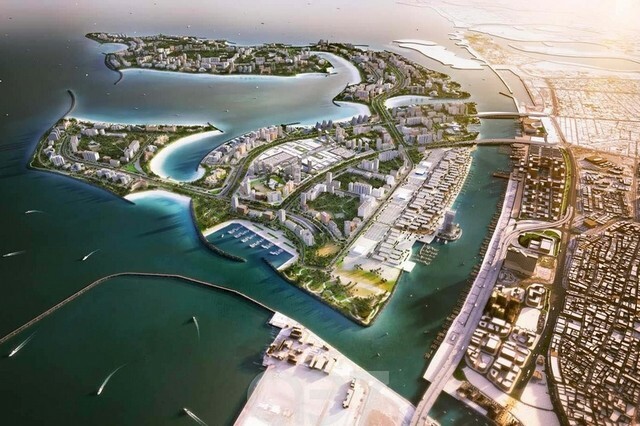 Deira Islands is a four-island project on a site that was initially earmarked to be another coastal palm project known as Palm Deira. The developer said last week that it has already spent about Dh3bn on its infrastructure. A Dh150-million access bridge to the islands has just been completed and a tender has been issued for six marinas at the site. The islands will also contain a night souq and several resort hotels, including an all-inclusive, 800-room RIU Hotels and Resorts property and a 550-room Centara Hotels and Resorts beachfront resort. A new report by Dubai-based property broker Land Sterling stated that the second half of 2016 had been “lacklustre” in terms of property sales. Reported apartment sales were 19 per cent lower than in 2015, with buyers delaying purchasing decisions until market conditions become more predictable. It added that it expects 2017 to be “a year of transition”, with a fairly flat first half leading to a much improved second half of the year as activity in the construction sector picks up. “The pace of activity will improve markedly as federal investments and capital projects like Dubai Metro extension enter the execution phase. [The] construction sector is expected to get an impetus as projects get pushed for completions,” it said.